Michal Hink is the Czech Republic Managing Partner and Co-Head of the Real Estate Practice Group in Dentons’ Prague office. Focusing on real estate, financing and commercial law he is recognized as one of the leading individuals on the Czech real estate market. Michal has over 18 years of experience advising on major real estate acquisitions and disposals and largest developments in the Czech Republic, Slovakia and wider CEE region. He regularly advises institutional clients during the whole process of real estate mergers & acquisitions and their financing, i.e., starting from assistance to clients with negotiation of pre-contractual documents, running a legal due diligence and coordination with other due diligence providers, drafting and negotiation of transaction documents as well as assistance in connection with related post-closing matters. Michal also has a strong record in advising on logistics and built-to suit projects, asset management and leasing work, especially within the industrial and retail sector, and on regulatory aspects of the real estate development. Michal is an active member of the Association of Real Estate Market Development, which focuses primarily on the improvement of Czech legal regulations and real estate business environment. HB Reavis: Advised on the successful sale of the Metronom Business Center (a 10-storey office building offering nearly 34,000 sqm of floor space) to ČS nemovitostní fond managed by REICO investiční společnost České spořitelny for CZK 2,3 billion (approximately €89,2 million). HB Reavis: Advised on the successful sale of the office buildings River Garden II and III (an 8-story complex, offering over 25,000 sqm of rentable space) located in Prague to Aviva Investors and LaSalle Investment Management, on behalf of the Pan-European Fund, Encore+ for €84 million. HB Reavis: Advising on the sale by a tender of the logistics center of 43,500 sqm near Lovosice in the Ústí nad Labem region of the Czech Republic to P3 Logistic Parks for €33 million. Komerční banka: Advising on the acquisition of a new administrative building in Praha Stodůlky in the Czech Republic for their back-office through a forward purchase of the company being part of the group of Finep Holding and Ungelt Partners. Komerční banka: Advising on the sale of NP 33, a subsidiary of Komerční banka, which owns the office building in Na Příkopě 33 (KB’s headquarters) Prague 1 in the Czech Republic to German real estate company Commerz Real Investmentgesellschaft mbH (Commerz Real) for the portfolio of its hausInvest fund. AEW: Advising on the acquisition of a 255,000 sqm logistics development near Prague from Panattoni Europe for €150 million. AEW Europe, through its LOGISTIS Fund and in cooperation with Panattoni, plans to develop a 125,000 sqm standalone warehouse facility in the district of Dobrovíz, near Prague, already fully pre-let to Amazon and will serve as a new location in Amazon’s European Fulfilment Network. The remaining 130,000 sqm consists of a logistics development comprising seven Grade A assets. Blackstone Group: Advising on the acquisition of a portfolio of 6 logistics and distribution parks of total area of 200,000 sqm located throughout Poland and the Czech Republic from Pramerica Real Estate Investors. Heitman International: Advising on the sale of a portfolio of logistics parks of total area of 230,000 sqm in the Czech Republic (Rudná Logistics Park, 163,000 sgm), Poland and Slovakia to the company Prologis and coordination of the sale in all three jurisdictions. Heitman International: Advising on acquisition of Rudná Logistics Park Phase 1 and 2 projects and work on subsequent development of warehouses in both phases. Assistance with refinancing of the existing bank financing. More than 10-year close cooperation with the client and its property managers on all sorts of asset management issues, including drafting and negotiation of all lease agreements in the logistics park, relocation of tenants, easement arrangements, dealing with tenants’ bankruptcy, etc. Meyer Bergman: Advising on acquisition of two shopping centers - Forum Nova Karolina in Ostrava and Forum Ústí nad Labem in the Czech Republic, for an amount close to €300 million from Multi Corporation. Meyer Bergman made the acquisition through a 50:50 joint venture between Meyer Bergman’s specialist retail focused fund, Meyer Bergman European Retail Partners I (“MBERP”), and Healthcare of Ontario Pension Plan, a Canadian pension fund that is also an investor in MBERP. Aerium Finance: Advising on the financing and acquisition of portfolio of 6 Tesco hypermarkets and galleries from Carrefour in the Czech Republic. More than 8-year close cooperation with the client and its property managers on subsequent asset management, restructuring, development, financing, divestment and other property related issues. Advising on the sale of the shares of an entity owning Stodůlky Shopping Center in Prague to XXXLutz. Aerium Finance: Advising on the sale of the Královo Pole Shopping Center in Brno, the Czech Republic, to CPI Property Group. Královo Pole Shopping Centre comprises a two-level gallery with 78 shops and a food court, providing 26,500 sqm GLA plus 900 parking spaces. Aerium Finance: Advising on the sale of the Shopping Center FUTURUM in Ostrava, the Czech Republic to Star Capital Investments. Shopping Center FUTURUM comprises more than 100 shops and provides approximately 30,000 sqm GLA. City Deco and City Element companies from ECM group: Advising on the asset sale of City Deco and City Element projects in Prague 4 to S+B Gruppe as a part of reorganization of the above companies within insolvency proceedings. E-shaped City Deco offers 18,000 sqm of office and retail space as well as an underground parking garage, City Element includes 7,000 sqm of office space. CTS Corporation: Advised on the acquisition of Noliac A/S, a Denmark headquartered designer and manufacturer of tape cast and bulk piezoelectric components, sensors and transducers, with manufacturing facilities located in Denmark and two of them in the Czech Republic. Faurecia Emissions Control Technologies: Advising on long-term lease agreement for the built-to-suit project for a 25,000 sqm production/warehouse facility in Mladá Boleslav. Faurecia Seating: Advising on long-term lease agreement for the built-to-suit project for a 30,000 sqm production/warehouse facility in Plzeň. MONETA Money Bank: Advising a tenant on a headline future lease contract for the long-term rental of total area of 21,500 sqm in the multifunctional BB Centrum complex in Prague 4, owned by PASSERINVEST Group. 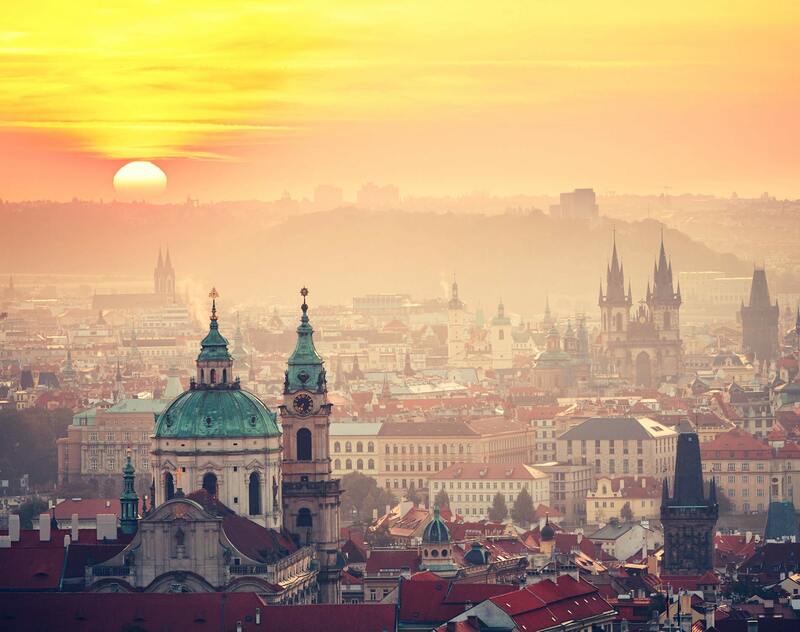 ORCO Property Group: Advising on US$94 million sale of the Radio Free Europe Building in Prague to a subsidiary of the L88 Companies - an American owned business. PointPark Properties: Advising on the construction, leasing and financing of a new Built-To-Suit (BTS) distribution warehouse facility of an area of 65,000 sqm (40,000 sqm of Phase I. and 25,000 sqm of Phase II.) located in the P3 Prague D8 logistic park in the Czech Republic, built for VF Corporation, a major international retail operator. Real Estate Karlin Group: Preparing and negotiating lease agreements for the Corso II building (13,000 sqm of leasable area) in Prague 8 – Karlín. Shikun & Binui Real Estate: Advising on the share sale acquisition of development land for Vltava Residence to be developed by Horizon Holding in Prague Karlín. The Yankee Candle: Advising on a full spectrum of real estate acquisition and development activities in Czech Republic mainly with respect to the planned construction of manufacturing and distribution center in Most, Czech Republic, the one and only production facility outside of the USA, and related issues such as state incentives, land acquisition from the Municipality of Most negotiation of EPC Contract with general constructor, permitting and environmental law advice, etc. Our advisory also includes the green building authorization requirements. The aspects of green building authorizations (LEED, BREEAM) are related top energy efficiency and sustainability of the buildings. Michal Hink works on major real estate transactions on both the buy and sell sides and is also active in logistics, build-to-suit and leasing work for industrial sites. One interviewee states: "He is really good - a true expert." Chambers Europe 2018. He is lauded for being not only “very bright” but also “very committed and loyal.” Chambers Europe 2017. Continuously ranked in Real Estate in the Czech Republic by Chambers Europe since 2009 and described as “a very bright lawyer who focuses on private equity investments and transactions in the domestic market, as well as leasing and asset management work”. Named amongst The Best Lawyers in the Czech Republic in Real Estate” by Woodward/White, Inc.